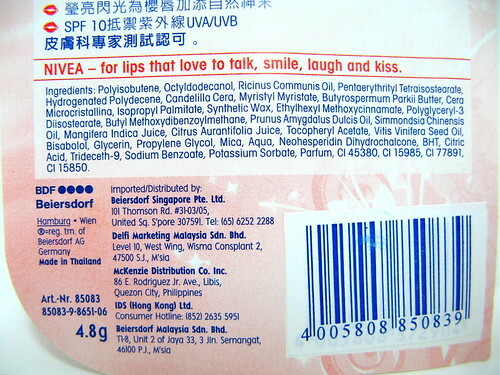 I wasn't impressed the last time I tried a Nivea lip balm. The formula was somewhat better than similarly-priced alternatives in the drugstore, but I found that the balm didn't do much to actually moisturize my lips. It dried up quickly so I had to re-apply several times during the day, too. But that was two years ago, I think! 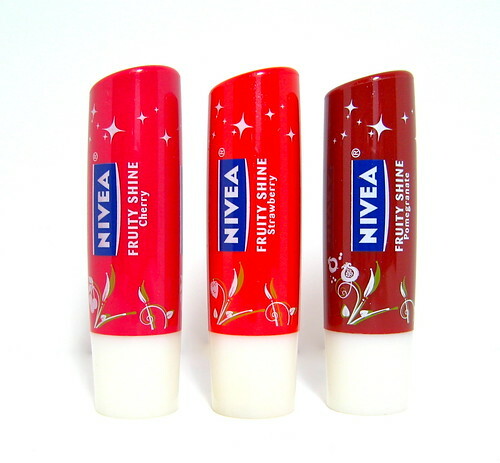 Nivea has gone a long way and went on to refomulate their lip balms. 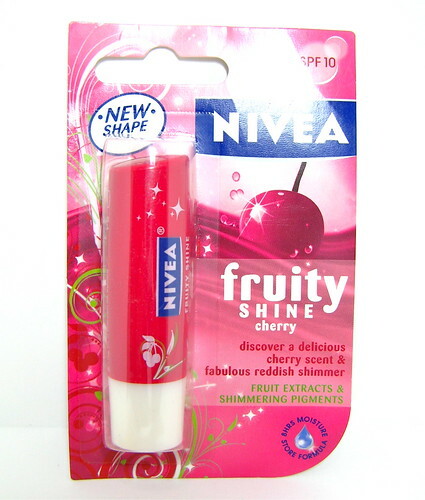 The Nivea Fruity Shine Lip Balm (P80) is a non-waxy, moisturizing lip product that comes in three variants: Cherry, Strawberry, and Pomegranate. 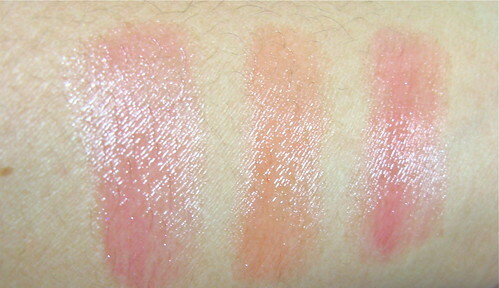 They feel wonderful on my lips plus they offer a hint of tint that goes on evenly. 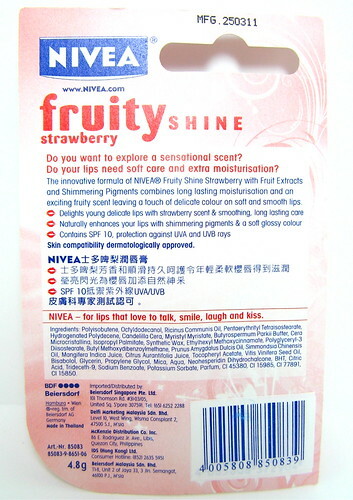 Oh, they also have a glossy/shiny finish so if you like that effect, Fruity Shine can deliver it. The three variants have different scents, but they pretty much look the same when worn so just pick according to your preferred scent/flavor. The scents are alright but they can be a little overwhelming if you don't like scented products. 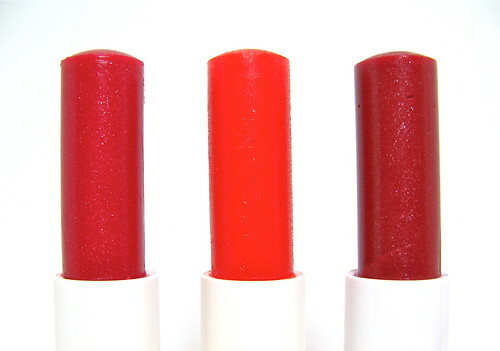 As for color payoff, they're not as pigmented as, say Lip Icd Sheer Color or the Human Heart Nature Tinted Lip Balms, so if you're looking for that particular feature then I suggest you go for those options instead. 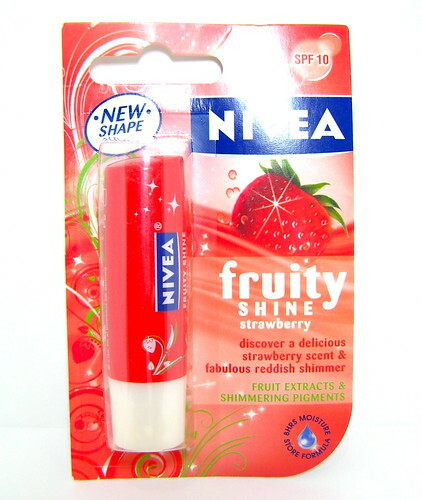 Nonetheless I like the Nivea Fruity Shines because of the formula. It's not waxy, it glides on and stays on for a good four hours - that's really all I need! It's very similar to Lip Ice and even Aquafina - my top favorite lip balms of all time - but it's slightly cheaper and more easily available. Excellent product overall! 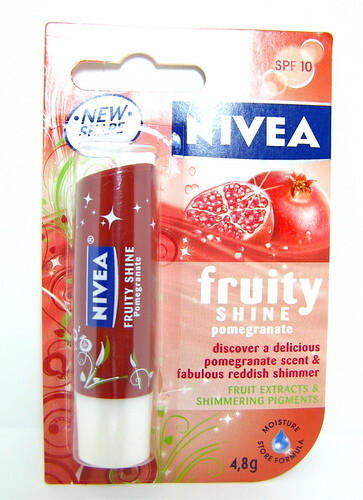 Tried the Nivea Fruity Shine Lip Balm yet? How do you feel about it compared to other lip balms?